Sunday we revealed the paper and add-ons from this glorious kit and today I wanted to share a few of my creations! While taking my daughter on a photo shoot in our Berkshire mountains, we came across this beautiful sunflower field as the sun was setting. I caught her in a spontaneous moment of praise and the Laura Story song, "Mighty to Save" came to me. 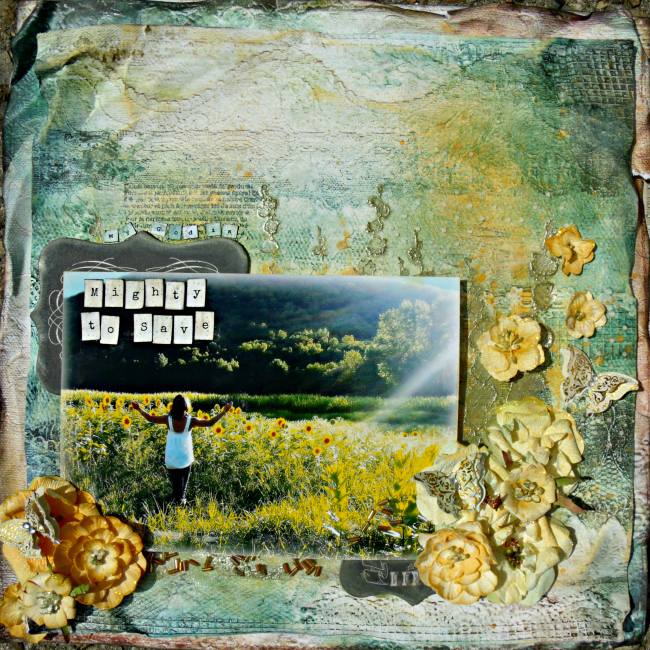 The blues, golds and fun shimmerz paste was the perfect combination for this pic. The gold beads came from my stash. The pic is my niece Vivien, taken at the Cystic Fibrosis Great Strides Fundraiser. Being 2, she had her particular ways and insisted on wearing the same pink coat..everyday..with the hood up. 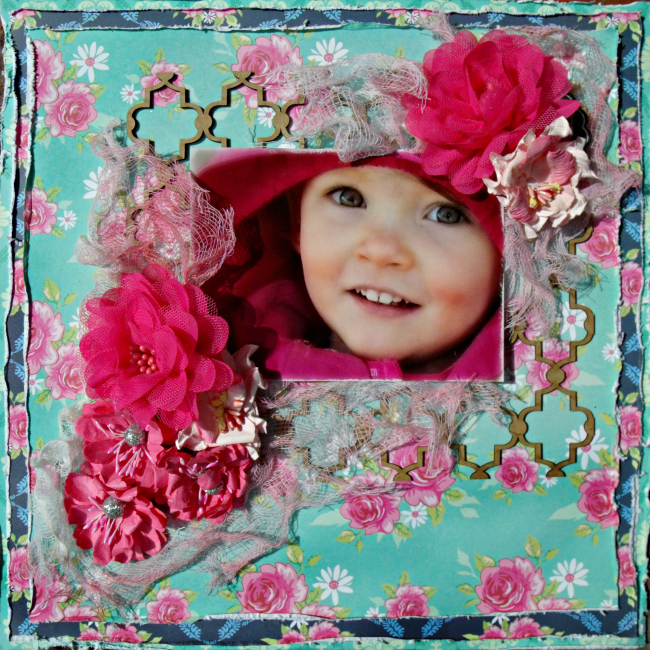 Lucky for me, it frames her precious little face and matches the vibrant pink in the kit's flowers! I loved the simple elegance of the Blue Fern lattice and chose to leave it bare this time. The cheesecloth is from my stash. The pic is my daughter at the top of the mountain at the observation deck-I love her profile! I wanted to show all the patterns of the Tilda's in a quilt-like pattern because they are too lovely to hide. The fussy cut pieces are also from the Tilda's. Both the lovely lace and teal ribbon are from the main kit and how perfectly does it match the kit flowers? That's it for today-thanks so much for stopping by! 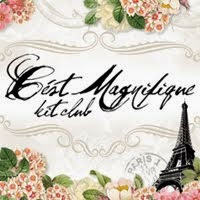 Check the C'est Magnifique Blog for upcoming creations by the rest of the Design Team and the Full Reveal on September 30! HI your layouts are lovely, and so are your photos, love them all. Have a great day. 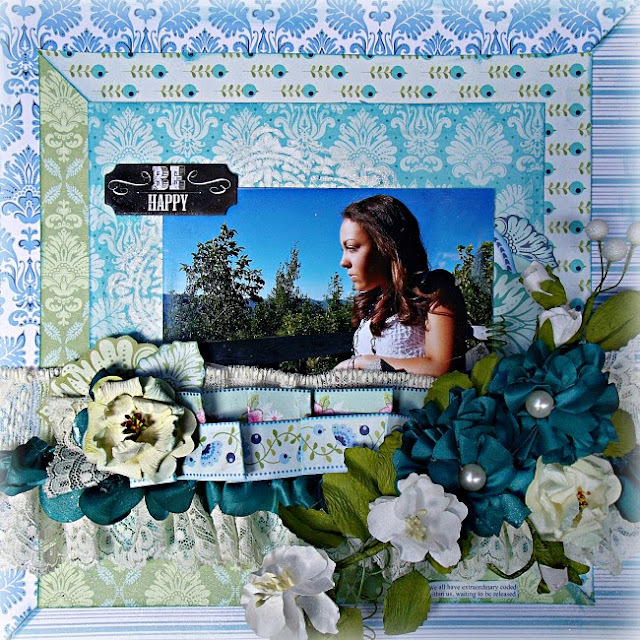 You are rocking this kit, Tracey!